The goal of the social studies program at MAGE is to ignite a curiosity and passion for history. The number system is for parents reference only and corresponds roughly to the age of the student, and as all things MAGE, there will be flexibility in placement. There is nothing ordinary about our unique history program. 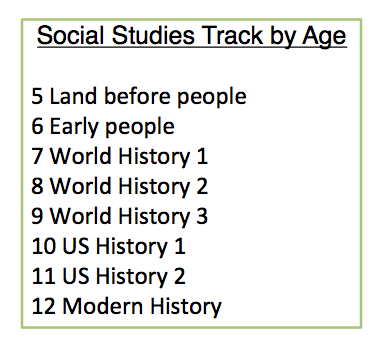 In the Elementary Program at MAGE, there are several cross-disciplinary tracks for history. Of course, we tied in science and technology. The areas of Social Studies include Civics, Art, Music, US, and World History. Students will be exposed to rudiments of fields such as archeology, geography, geology, political science. The below studies will be grouped into units and will take place during project windows and during history time-block. Because we tie our studies together by topic, the work may also be happening during other blocks if the topics are linked. 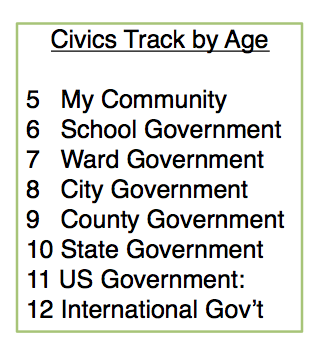 In Civics, students will study their target government entity through project based lessons enriched by textbook and article reading as well as online tools and multimedia presentations, debates, research, experiments and games to gain understanding of government. The students’ inquiry will drive as much of the content as possible. Each Civics group will visit their target government in an optional end of the year field-trip. This area of study overlaps heavily with US History. Some of the projects will involve the whole school and will be heavily tied into our school’s work as we learn about service and helping others. Students will learn social studies through hands-on, discovery-based learning. Each level will have at least one project or field trip in their area of study. The students will also learn about key scientific discoveries with hands-on demonstrations and experiments as part of their history studies. The students will be able to choose if they wish to test their knowledge in a fun way - participate in the school History Bee with the option to move to higher-level competitions. The studies will lay the foundation to prepare the students for deeper academic studies and eventually for AP studies. As part of our Arts program, students will be studying and reacting to, and discussing, key historically important pieces in both visual and performance arts. A note about placement: Students who like to go deep in history, have a background in some topics in history, and have deep understanding will be either challenged in their age peer group, matched with academic peers using reading/writing assessment, or matched by knowledge or interest into the appropriate group.